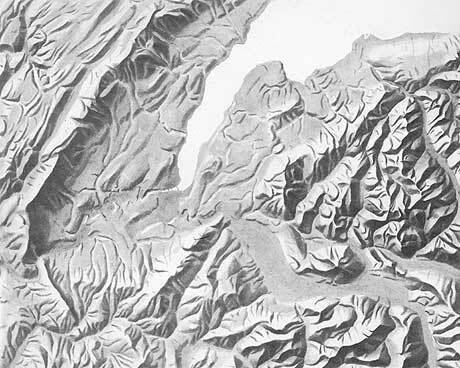 The relief shading below is an inset from a school map of the Canton of Geneva, Switzerland. Heinz Leuzinger drew it with pencil and ink. “Canton de Genève”, original scale 1:300,000, 1959, © Kümmerly+Frey, Bern.